I was so glad to be able to join Love Rhymes with Everything authors Dana Feagin (a Sanctuary One board member) and Kat von Cupcake (a Sanctuary One former board member and adopter) for a visit to Farm Sanctuary in Orland, California, for the sanctuary’s Twilight Tour (followed by the best vegan happy hour ever). 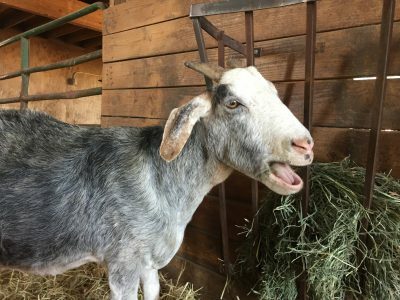 It was a wonderful opportunity to visit with the sanctuary animals (who loved the additional affection from visitors) and to learn more about how their lives have turned around thanks to those who do the important work of rescue and providing a safe home. 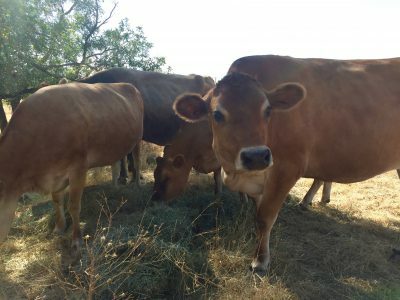 It was a broiling-hot day in Orland, but all of the animals were cool and happy; the barns had misting fans, and staff and volunteers made sure to keep the animals comfortable…such a contrast to their former lives on factory farms. 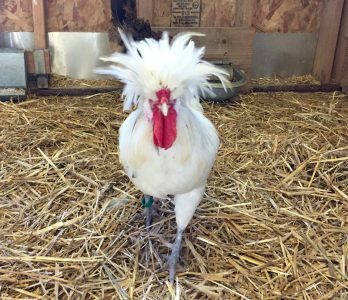 The Orland sanctuary is on 300 acres, with more than 300 rescued farm animals, including pigs, sheep, goats, cows, chickens, turkeys, chickens, and waterfowl. 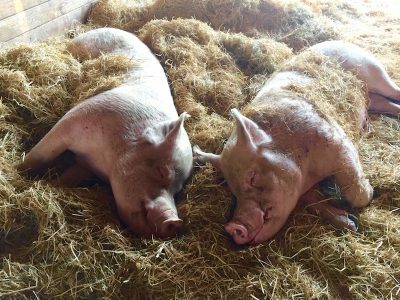 Because this was a Twilight Tour, one of the topics was bedtime for the animals, most of whom are only able to sleep for the very first time once they arrive at the sanctuary. Due to the horrible conditions at factory farms, animals from pigs to chickens don’t ever get to fall sleep (to lower one’s guard even for a moment means getting trampled or suffocated), which means they live their entire short lives under unbearable stress. During our visit we also got a chance to chat with President and Co-Founder Gene Baur, who gave an inspiring talk about reaching out with kindness to educate those who don’t realize how much these animals suffer, and how making compassionate choices leads to a better world for animals, humans, and the planet. did an internship there in the mid 90’s and felt completely at home and inspired. 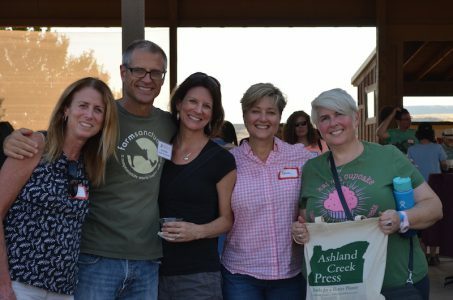 My Farm Sanctuary experience was woven into my first novel. Caroline, how fantastic … it must’ve been an incredible experience. We loved visiting for just a few hours and felt as though we could’ve stayed forever. It’s such a peaceful, beautiful place. And writing about it only shares the compassion further, which is amazing. Thanks for all you do for the animals! And thank you and ACP for all you do!